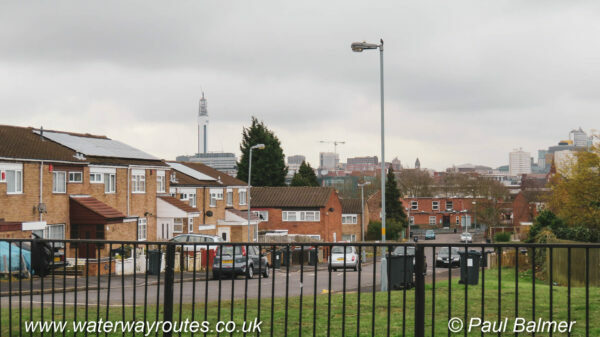 Long range views towards Birmingham. A short length of the Soho Loop has wonderful long range views towards the centre of Birmingham. The tallest structure is the BT Tower standing 150m (500 feet) high with its base near Farmers Bridge Lock 10 on the Birmingham & Fazeley Canal.